The Essentials of the Presidential Youth Fitness Program workshop is a supplemental professional development opportunity designed to provide the physical education teacher with the knowledge and tools to participate in this national program. This six hour, in person workshop provides physical education teachers with five foundational elements needed to implement the program in their school. 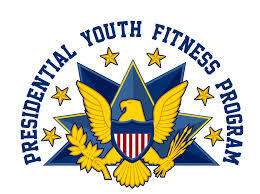 · Participants will discover how the components of a quality physical education program serve as a foundation for the Presidential Youth Fitness Program. · Participants will boost their current knowledge of health-fitness education and learn how to teach health-related fitness concepts through activity by using Physical Best. · Participants will learn how to use the FitnessGram® assessment protocols and the Healthy Fitness Zone Standards. · Participants will identify the role of motivational recognition in a physical education program. · Participants will articulate how certain aspects of the program should be shared with key stakeholders.